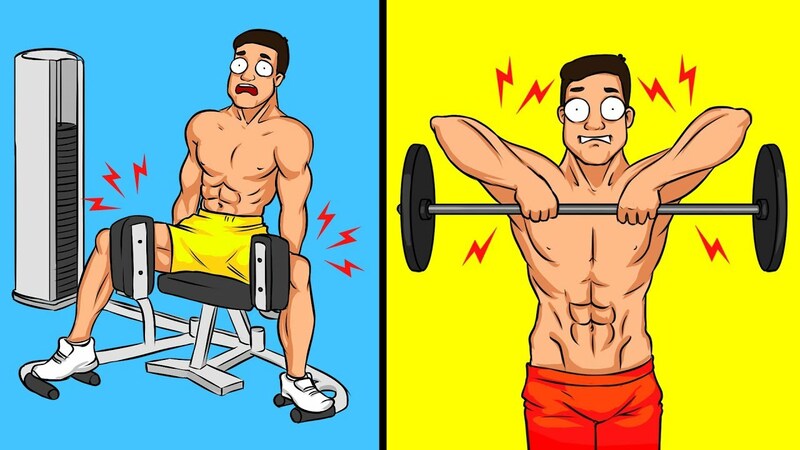 Get ready for five exercises guys need to avoid. Exercise is the new black. Whether you prefer to run, swim or hit the gym. One thing is certain we're all working out a whole lot more. The US alone has seen an increase of 5500 gyms since 2012. Exercise is an active healthy way to use up energy and get fit. So, there shouldn't be any downsides right well, unfortunately, there are many ways you could be exercising incorrectly and permanently damaging your body in the process. Just as a jogger running on concrete can injure their legs. Men can hurt themselves by exercising in ways you probably thought were safe. Here in this article, we've collected a list of five most useless or dangerous exercises you should avoid. So, before we get started be sure to subscribe to our blog. Exercise #1: We all want to get the perfect six-pack. The core of our body is important for a variety of reasons. A strong core protects our vital organs. Strengthens our internal muscles and looks great. Now, unfortunately, the gym market has been flooded with cheap core strengthening ab machines. These machines usually have a chair and a selection of weights that you can change. The general idea is to push your upper body forward and pull the weights. Which should put most of the strain on your core. The reality is quite the opposite. Even if the machine is perfectly calibrated to your body size. There is still a high probability of the strain going directly to your lower back. Traditional exercises like sit-ups and crunches have proven to be far more effective for strengthening your core then select a riser to add machines. of course some guys still manage to hurt themselves when pursuing that perfect beach bod look. When doing a sit-up keep in mind that you should never feel your lower back taking the weight. All the strain should be felt in the center of the core. If you feel like your lower back is taking most of the grunt. Try straightening your back when you pull yourself up. It may be a whole lot harder but it will keep your body from naturally resting the weight on your lower back. If you look like a hunchback when you're doing a sit-up. Chances are you're going to have back problems in the future. So, have you been exercising incorrectly this whole time? The easiest way to know is if you feel pain after you finish exercising or strains and your muscles when you move them. Don't forget that even though exercising is a surefire way to stay healthy. You might be doing more harm than good to your body. Take note of whether you feel an unnatural ache in your shoulders or arms after your workout. The main goal of a workout is to move and stretch the muscles we don't use during our everyday lives. And this is usually accompanied by some discomfort. Which generally means that your muscles are becoming stronger. However, if they begin to ache before you start working out or when you do simple things like bend over or lift something up. Then you may be doing something wrong. Another important thing to understand is that a particular exercise needs to be followed to the tee. This means that if you're doing it even the slightest bit wrong the entire ordeal may be in vain. Keep an eye out for instruction manuals at the gym. As they usually show step-by-step instructions for how to use the equipment and position your body correctly. Remember that even if you see someone else using a machine in a certain way. They could be doing it wrong themselves. Try to find a trainer to explain the best way to do an exercise. You may think that a machine may be useless but there could be something you're forgetting to do with it. However, it's not always our fault when it comes to not getting results from an exercise. There are a lot of gym machines out there that are just plain terrible. whether some personal trainer just invented one off the top of their head or if some simple word-of-mouth sent it around. There are definitely some machines out there that are no good for anyone and should be avoided. Exercise #2: What do most guys love to work on more than a solid six-pack. at your local gym are designed to improve your upper body. But this time it's not the machine you need to look out for. The behind the head shoulder press is another dangerous exercise that you should avoid. Many physicians and personal trainers agree that there is absolutely no advantage to doing the shoulder press behind your head. While holding a weight behind your head you're still only straining the same muscles as if you were doing it from the front. The only difference is that you'll be doing permanent damage to your shoulders. Holding something behind your head put your shoulders in a very dangerous position and that danger is amplified with any additional weight you use. If you ever see someone performing this exercise at the gym. Observe how unnaturally form their body is at that moment. Most of us have jobs that force our shoulders forward and keep our head looking down. So, rotating our shoulders back putting a lot of weight on them and pushing our neck forward to rest the bar on our shoulders is a bad idea. If you were to drop the bar well in that position your arms would be forced down with a weight. Straining or potentially damaging your rotator cuff. The muscle that lets us rotate our arms. Of course, lots of exercises come with some form of risk but the behind the neck shoulder press will not give you any different results than if you did it from the front. 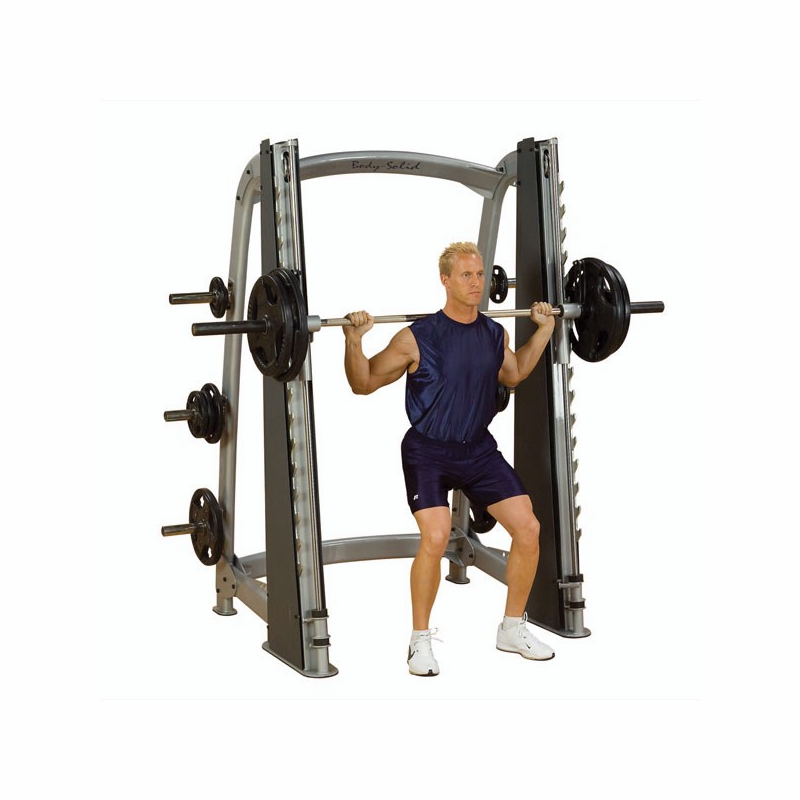 Exercise #3: Another machine you need to be on the lookout for is the Smith Machine. without the need for a machine and if you're a frequent gym goer you'll have seen lots of guys doing this exercise with a regular barbell. The squat is a crowd favorite with many benefits and it even has competitions dedicated to it. The weight puts a strain on your entire body you need to evenly distribute the way to avoid hurting yourself. But with a smith machin,e your back is forced to stay straight the entire time. During a squat, your hips and back should be able to bend and move freely. A smith machine will lock your body in place and force you to adjust your form to fit the machine. To the outside observer, it may seem beneficial to keep your body locked in place to focus the strain on just a few muscles. However, the normal squat pose is your body's natural reaction to having a lot of weight dropped on it. If you try to keep your back straight instead of bending it you'll start to put pressure on your spine. This is an exercise that you won't just find men doing at the gym. 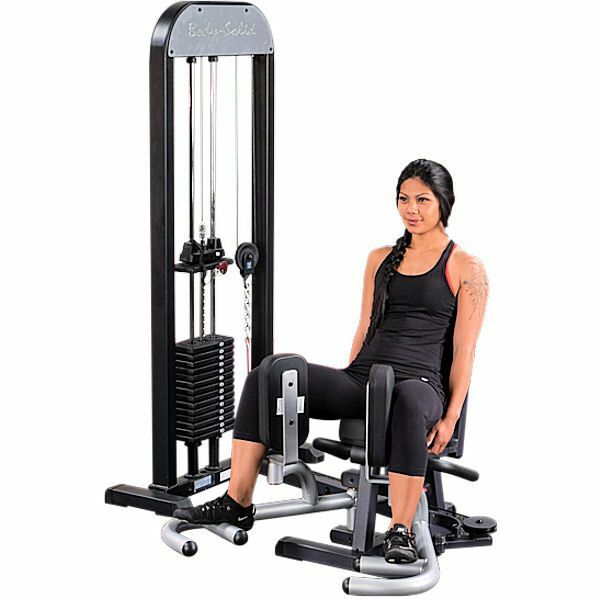 The Hip Adductor Machine may look like it's used as a leg exerciser. But the majority of the strain falls directly onto your hips. These machines are often sold out in retail stores in many states across the U.S. The machine is sold as an easy stress-free tool to improve your lower body. But in most cases, even the salesmen themselves couldn't give you a clear picture of what these machines actually do. Overall there is no natural movement or task that should require you to load your hips with weight in this style. Gym machines should be designed to make it easier for us to do real things in our everyday lives like carrying something heavy or rearranging furniture. 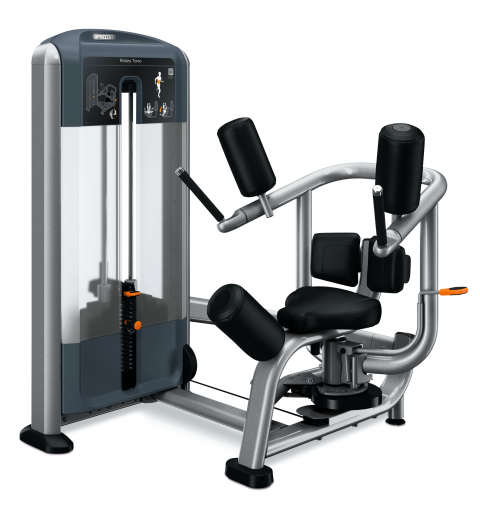 However, the hip adductor machine doesn't prepare you for any task that you come across outside the gym. In addition, even though you can work the muscles and increase the weight over time. The results may be more painful than beneficial. This machine is notorious for causing serious lower back damage. The lower back should be avoided no matter what exercise you do. But this machine puts it directly in the line of fire. By splitting your legs and pushing a weight your lower back is forced to position itself unnaturally. And when the action is repeated again and again the back starts to tear and ache. Keep in mind that your lower back is a stabilizer, designed only to help you stand walk and run. The majority of gym related doctor visits in the U.S. Stem from damaging this part of the body. So, make sure you never feel it taking the load no matter what exercise you're doing. Exercise # 5: Another dangerous gym machine is the seated Torso Rotator. Just by the look of it. You can tell that this is another example of throwing your body into an unnatural position. The idea is that by tossing your lower body from side to side. You're exercising your obliques. However, physicians have found that the machine is actually twisting and straining your spine. The irony of this is that the more you use this machine and stretch your obliques the further you'll twist and damage your spine. The machine was sold as a simple seated exercise than anyone can do to strengthen their obliques but as we know. There's no such thing as a strain-free workout. If you want to work your side's more simple side planks are far more effective and they don't put any strain on your spine. So, do you know of any other exercises that we should stay away from?